Below are a few links to resources which may assist you. Real Estate Encyclopedia - helpful definitions of Real Estate terminology. 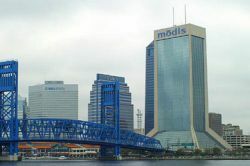 Jacksonville, the largest city in area in the continental United States, is a rapidly growing metropolitan city in Northeast Florida. This links to the official Web site of the City of Jacksonville. Information on Jacksonville and our city government is readily available on this Web site or by accessing the links to other organizations you'll see as you browse. The JEA electric system currently serves more than 360,000 customers in Jacksonville and parts of three adjacent counties. JEA's water system serves more than 240,000 water customers and 186,000 sewer customers, or more than 80 percent of all water and sewer utility customers in our service area. This links to the office Web Site of St. Johns County. Official Web Site of Clay County. Beautiful county nestled along the banks of the majestic St. Johns River in Northeast Florida. We are one of the nation's fastest growing regions, and we offer unsurpassed quality of life and unlimited opportunity for business development. Comcast was founded in 1963 as a single-system cable operation. Today, they are the country’s largest provider of cable services - and one of the world’s leading communications companies. They are focused on broadband cable, commerce, and content. They deliver digital services, provide faster Internet and clearer broadband phone service, and develop and deliver innovative programming. The Jacksonville Public Library is a large library system, consisting of a 300,000 sq. ft. Main Library and twenty regional, community and neighborhood branch libraries. The system directly serves residents and employees of Duval County both within the Jacksonville city limits and the Beaches and Baldwin communities. Residents of neighboring Baker, Clay, Nassau and St. Johns Counties are also able to partake of the services provided by JPL.